Location : The Sciences Library is situated on the ground floor of the Phase II building of the Faculty of Sciences. You can locate it in the map of the University. From september to june: Monday to Friday, from 8:30 a.m. to 9:00 p.m.
July: Monday to Friday, of 8:30 a.m. to 8:15 p.m.
During the month of August, Easter and Christmas holidays, the Sciences Library will be closed. 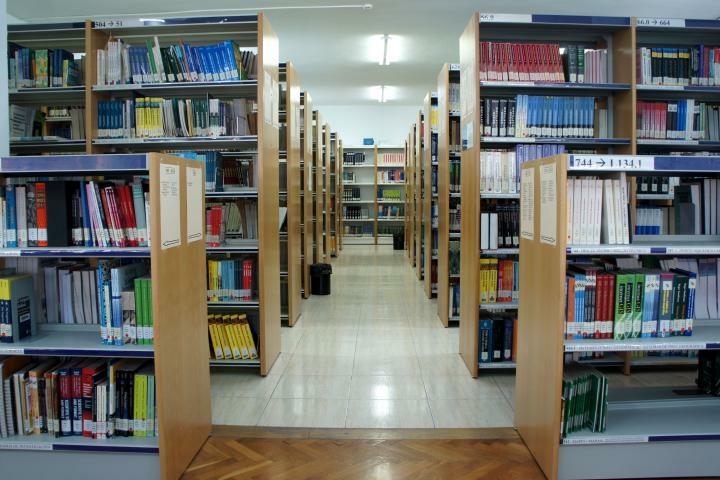 Collections : In this library you will find the necessary resources to cover the different specialitys given in the Faculty of Sciences and that conform his bibliographic collection, with more than 40.000 books, journals in paper specialised, special materials and access to all the electronic resources of the university library. To orient you inside the Sciences Library you can consult the map of distribution of spaces and location of call numbers. The Science library staff directory.